That is how it all began. A few cryptic autobiographical notes jotted down by Pierfranco Colonna together with the lawyer Maurizia Girlando. 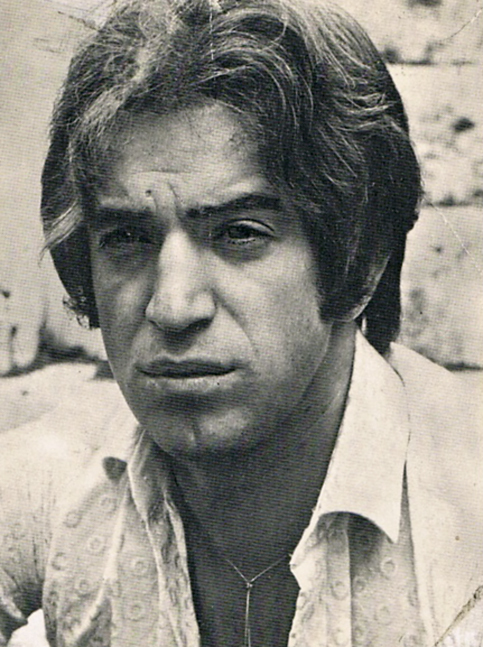 In the late mid-sixties, Pierfranco Colonna was one of the most promising singers in the Italian music scene. A bright comet that was sucked into the black hole of oblivion by his seemingly willful transgression: A promise unfulfilled, steamrollered by his un-reined excesses, alcohol, joints, all sorts of pills and much more. He passed away on a sunny day on the 9th of July 2001 at the age of 56 with an autobiography still unwritten. His real name was Franco Castellani. He was born in Turin, Italy in 1945. His first stage appearances were as the singer of a group called ‘I Ragazzi del Sole’ (The Sun Boys). He had lived in London for a while and spoke very good English, He sang the blues better than anybody else here in Italy and he was always quite a hit with the girls. He felt a bit hedged in and straight-jacketed within the group especially after inviting offers and proposals to go solo started falling into his lap. 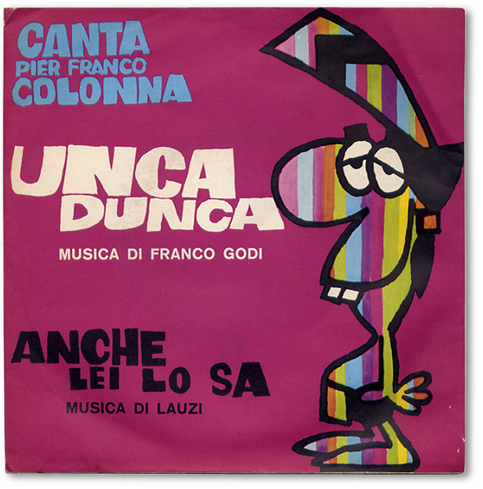 The record company director Alfredo Rossi along with the songwriter Franco Califano changed his name to Pierfranco Colonna because it sounds more classy for an elegant Italian bluesman especially because the surname of Colonna is well known in Italy for its noble origins. He recorded two good records and the public started to notice him, especially after he overwhelmingly won the upcoming-new-talents contest of the very popular Sunday television program ‘Settevoci’ (Seven Voices) hosted by the famous Italian Television Master of Ceremonies Pippo Baudo. They began nicknaming him as the ‘Whiteman with a Black voice’ but that nickname was later tailored to fit another Italian singer with the same tone of voice named Fausto Leali. 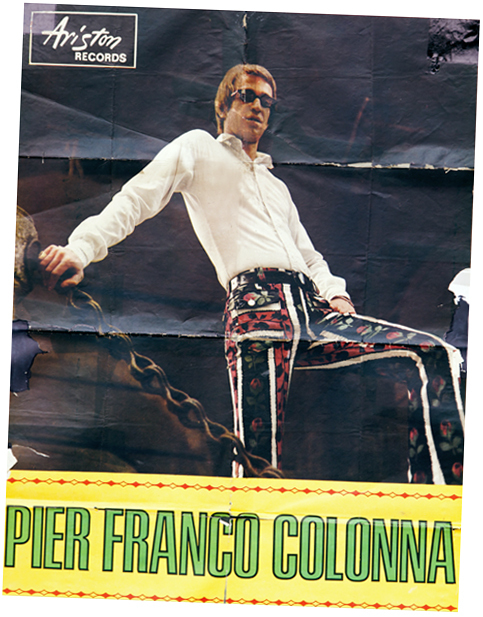 Colonna became one of the most interesting Italian singers of Soul Music. 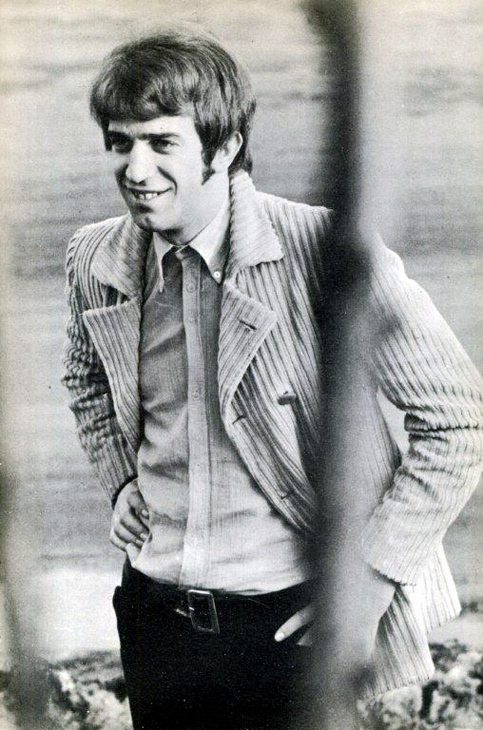 In his shows, along with his own songs, he would only do songs of Otis Redding and Georgie Fame with his own group of musicians roped in from other well known bands: On the bass Mario Scotti ( who will later play with Lucio Battisti, Jimmy Smith and Ennio Morricone), on the drums Gigi Federici (who with Little Tony) and Roberto Senzasono (from the group the Skilars with Ricky Shayne): on the keyboards Thomas Gagliardone (from the New New Dada and later with the Equipe 84); on the guitar Piero Pantò (from the backing group of the singer Michele); on saxophones, Michele Bovi (who would later join the Pecore Nere (The Black Sheep); along with Mariano Lozzi and Paolino Sanna; on trumpet Filippo Bianchi (who played with Edoardo Vianello); a few more added unusual and spectacular on-stage attractions for that time were; bongos, played by his dear friend Enrico Buscaglia along with two dancers, one white and one black, who danced and sensually gyrated next to him while he sang. Pierfranco Colonna with the very first original members of the group Boa Boa. 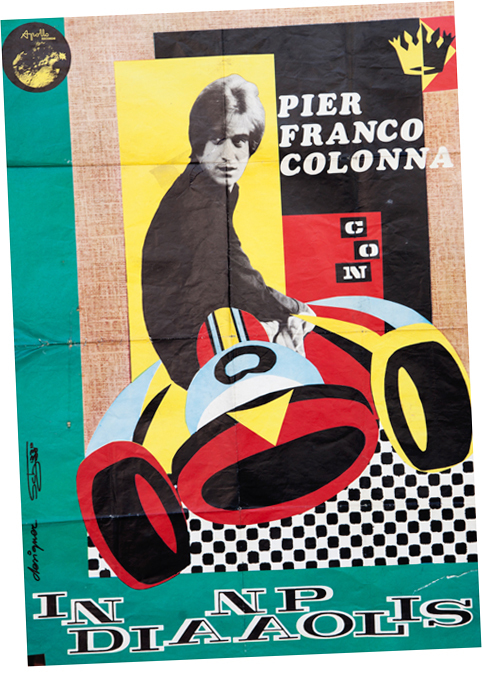 An original poster of Pierfranco Colonna. 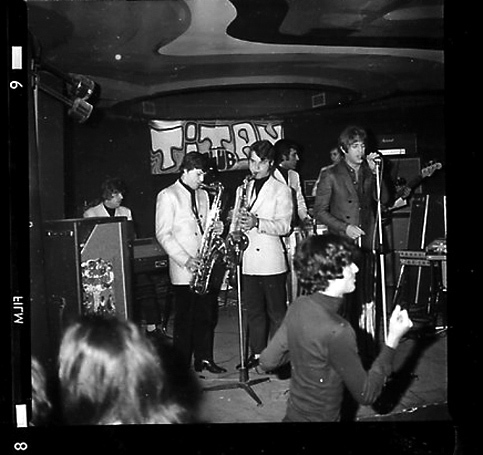 Pierfranco Colonna and the group Boa Boa at the Titan Club in Rome in November of 1967. The members of the group are from left to right : Thomas Gagliardone (keyboards) , Roberto Senzasono (Drums), Piero Pantò (Guitar), Mario Scotti (Bass), Michele Bovi (Sax), Mariano Lozzi (Sax) Enrico Buscaglia (Congas). The young boy who is dancing in the foreground of the photo is Renato Zero who today is one of Italy’s most successful singers. 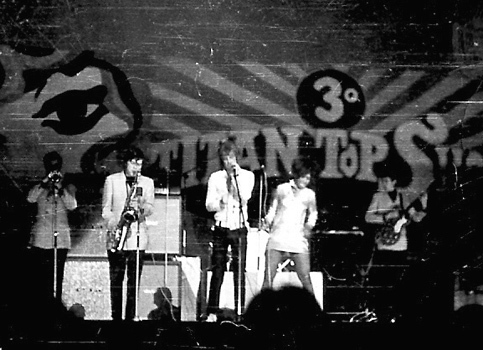 The organizer and planner of his shows was Massimo Bernardi, the go-ahead enterprising owner of the Titan Club in Rome, Italy – which was an alternative to the Piper Club and was a slightly more elite music-club – it attracted bigger international stars such as Stevie Wonder, Wilson Picket and Jimi Hendrix. 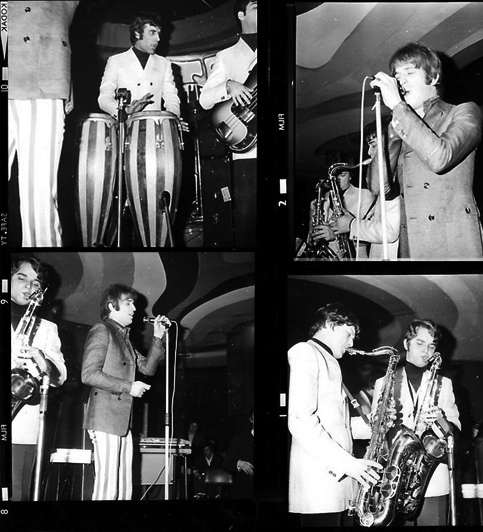 In May of 1968 Pierfranco Colonna and his group were the backup attraction in the Rome concerts of Jimi Hendrix. 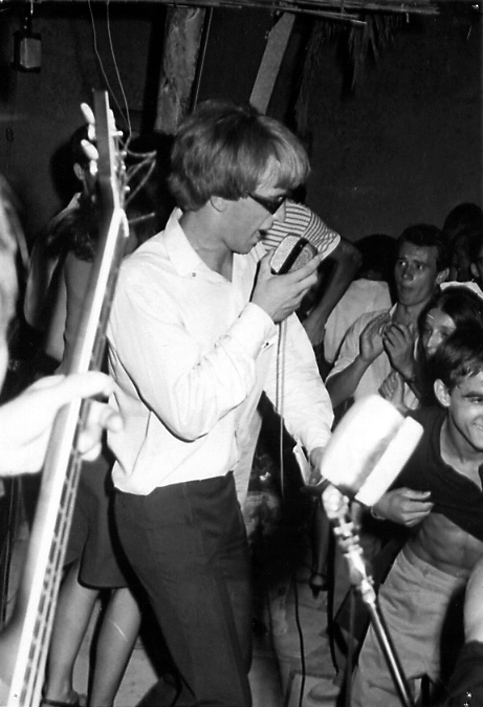 The singer from Turin seemed just one step from great fame and success. 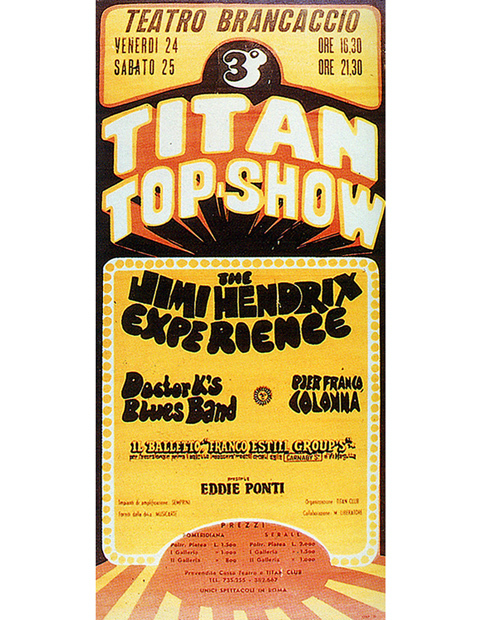 May 1968, Pierfranco Colonna and the Boa Boa on stage at the Brancaccio Theater in Rome opened and warmed up the first part of the Jimi Hendrix show. Framed in the light we can see Filippo Bianchi (Trumpet), Michele Bovi (Sax) Pierfranco Colonna, the Afro-American dancer Judith Six, Piero Pantò (Guitar). 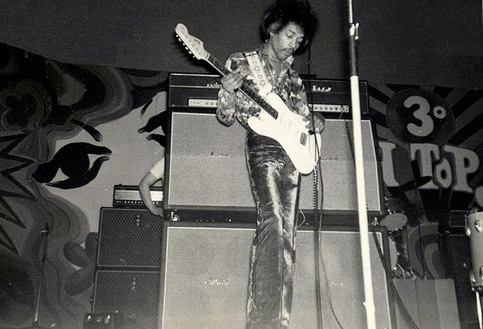 Jimi Hendrix at the Brancaccio Theater in Rome in 1968. Just three months later, on the Adriatic Romagnolo Coast, at the Bobo Club of Misano Mare the first downfall: He never made it to the stage, he was brought down by of an explosive mixture of drugs and alcohol. From then onwards it was a sad endless downwards trail: a few bad records, few and far between public gigs, many hospitals, drug abuse and incarceration in Italy, more drugs and prison in South America, and everywhere else more drugs and hospitals. In the middle 1990’s he returned to Italy and he managed to break the drugs and booze habit and he tried a comeback to the world of stage and music. In 1999 he made and album called ‘Percorsi’ (Trails). His undying art was still intact and deeply rooted within, but his body was exhausted and his voice worn out. One significantly suggestive title in his album ‘Percorsi’ was, Maledetto Amore (Dammed Accursed Love) that seems to sound like a last verse in a diary: “My soul is a Company that is going broke, I have sold too many shares, I have had too many trials and tribulations, its me who is wrong, I say sorry God but I cant take any more, I want to go away, to rest a little, damned accursed love, dam my… I don’t know what”. On the 17th of June 1997 the Rai 2 aired the News Health program ‘Tg2 Salute’ by Michele Bovi, dedicated to Pierfranco Colonna and the existential pathological ups and downs of his life. During the program the journalist Tito Manlio Altomare interviewed the singer and also the two specialists who were treating him – the toxicologist Angelo Zannero of the department of drug-addiction in the Maurizaino Hospital in Turin and the gastroenterologist-hematologist Sarinò Aricò and last of all Piero Pantò, the ex guitarist of Pierfranco Colonna’s group the Boa Boa.